When do I Replace an Ink Cartridge in the HP PhotoSmart D110a Multifunction Printer? 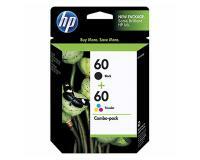 The ink cartridges installed in your HP PhotoSmart D110a Multifunction Printer are consumable components. You can find the approximate lifespan of these consumable components below. Your laser printer uses ink from the installed cartridges in the printing process, in the initialization process, and in the printhead servicing. 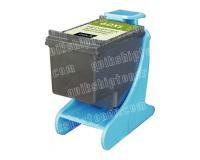 Therefore, you should replace the installed ink cartridges before the complete exhaustion of their print resource. 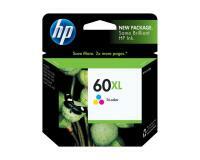 The estimated ink levels can be checked from the ‘’HP Solution Center’’ – [Settings] – [Print Settings] – [Printer Toolbox] – [Estimated Ink Level]. In the first step of the replacement procedure, you must make sure that your HP PhotoSmart D110a Multifunction Printer is turned on, and then open the door of the ink cartridge compartment. Once you have opened the compartment cover, you must wait for the ink cartridge holder to stop, and then unlock the exhausted ink cartridge by gently pressing down its top side. After that, you must take the exhausted ink cartridge out of the holder, and then unpack the new component. Now, you must remove the plastic tape from the contact area of the new ink cartridge, and then align the new component with the guides of the corresponding slot. 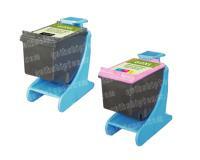 Please note that the installed ink cartridges must be arranged in the following order (left – right): Tri-Color, and Black. 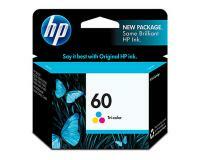 In the next step of the replacement procedure, you must slide the prepared new ink cartridge along the guides of the corresponding slot until it clicks into place. 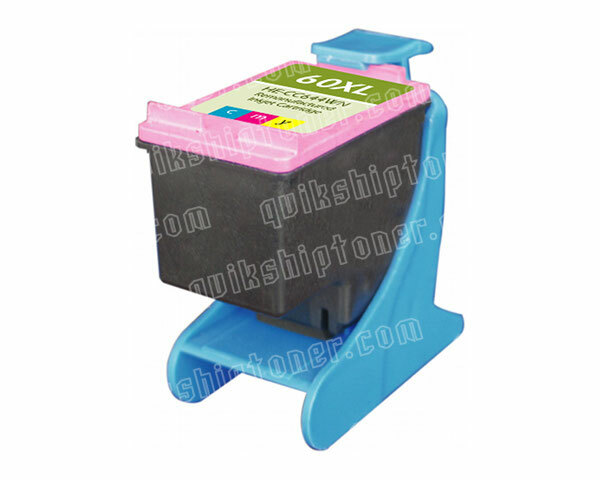 Finally, you must close the cover of the ink cartridge compartment, and press the [OK] button, when the following message ‘’Align Cartridges’’ appears on the front panel display.